During the holiday season, many of us living in a luxury apartment in Antelope have family members and friends to visit for Thanksgiving. And there’s absolutely nothing wrong with attending a holiday party in Sacramento or anywhere else in the United States on this special day. It’s great to get together with family members and friends and give thanks for all the wonderful things you have and the amazing life you get to lead. On the other hand, some people prefer to avoid cooking on Thanksgiving because they’d rather have somebody else do the heavy lifting for them. If you happen to be one of these people living in Sacramento and the surrounding area, you’re absolutely in for an amazing treat because there are a number of great restaurants providing Thanksgiving dinner this year. So you can forget about cooking and slaving away at the stove altogether and just enjoy great tasting food and companionship with family members and friends. How does that sound? Does it sound like the ideal Thanksgiving? If it does, then you’ll want to learn about the amazing restaurants that are going to be cooking your Thanksgiving dinner this holiday season. So stick around to discover the perfect place to make your reservation for Thanksgiving Day. The Firehouse located in Old Sacramento is an amazing restaurant to go to on Thanksgiving because their food is truly to die for. And even better, this restaurant has been around for more than 50 years serving incredible Thanksgiving holiday dishes to the wonderful members of this community. If you’re looking for an elegant affair and a fine dining experience that you’ll never soon forget, then the firehouse is going to be the perfect place for you to spend your Thanksgiving. They have an amazing wine list, use only locally sourced farm fresh ingredients, and for a set price you’ll be able to enjoy an incredibly nutritious and delicious four course meal. During the meal, you’ll have a chance to pick at hors d’oeuvres, a full salad, a turkey dinner or something else if you prefer, and then you’ll top it off with a delicious piece of pumpkin pie. How does that sound? If your mouth isn’t watering at this point then you need to reread the description because you’ve obviously overlooked how amazing this delectable meal is actually going to be. The interesting thing about Scott’s on the River is it’s actually a seafood restaurant. You might be wondering why we’d tell you to go to a seafood restaurant on Thanksgiving because seafood and giving thanks do not typically mix. Guess what? Scott’s is doing things differently this year and serving more than just your typical seafood dishes. They are going to also serve a traditional Thanksgiving dinner and provide their customers with an oven roasted Diestel Ranch turkey dinner along with other wonderful side dishes including green beans almandine, candied sweet potatoes, stuffing, garlic mashed potatoes and gravy, pumpkin cheesecake, and cranberry sauce to name a few of the delicious choices on their menu. Besides the traditional foods just mentioned, they will also serve a number of other different dishes on this special holiday. 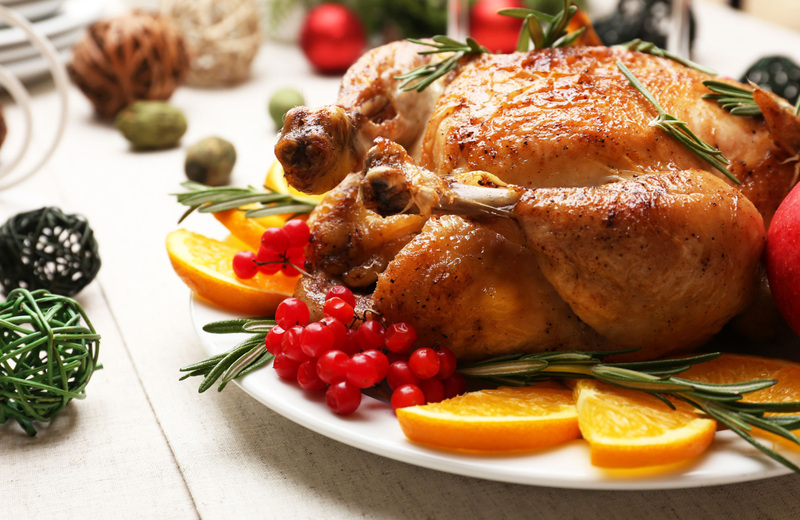 You’ll have access to seafood, salads, soups, appetizers, pasta, beef dishes, and they’re even making an extra special children’s turkey dinner for the little ones. So come one, come all, to Scott’s on the River this Thanksgiving. They are making this holiday extra special for everyone, so remember to make your reservation for an amazing holiday meal, delicious desserts, and everything else in between. You can find Silva’s Sheldon Inn nestled away in the countryside of Elk Grove, CA. This gorgeous city is just 15 miles outside of Sacramento, which is a small drop in the bucket if you’re looking for a quaint, happy, and extravagant Thanksgiving meal like you’ve never had before. The great thing about going to Silva’s is you’ll feel like you’re having Thanksgiving right at home, because the atmosphere is comfortable, the hotel is quaint, and they are going to serve traditional Thanksgiving fare along with other wonderful entrées, so you’ll definitely have a choice if you aren’t in the mood for turkey on Thanksgiving. But be sure to know that they are using locally harvested ingredients for their traditional turkey dinner. They also are offering half duckling, prime rib, or a number of other entrées that you can choose from, which are all a part of their Thanksgiving menu. Plus they have soup and salad and a children’s menu as well, and if you’re in the mood for appetizers they can certainly cook something up for you in that regard too. This location is perfect for those looking to have a mellow Thanksgiving meal in a comfortable and beautiful atmosphere. If that sounds like the perfect Thanksgiving to you, then this place is going to be just what you’ve been looking for. Located in Roseville, CA, La Provence Restaurant and Terrace is an amazing choice for those looking to enjoy an extra special Thanksgiving meal. They are going to offer several courses including hors d’oeuvres, your choice of salad, a turkey entrée among other options, family-style sides, and wonderful desserts including salted caramel pecan pie, pistachio crème brûlée, and pumpkin cheesecake to name a few of their delicious choices. We highly recommend La Provence if you’re looking for Mediterranean-style food with French and California twist, then this restaurant seems like the perfect choice for you and your family and friends.